Much of the fog enveloping Martin’s story owes a lot to the artist’s own contradictory statements and to numerous details of her life, which, over the years, have been hard to corroborate. Faced with the challenge of documenting such an elusive subject, the veteran American arts writer Nancy Princenthal, in her superbly researched new book, Agnes Martin: Her Life and Art (Thames & Hudson), offers the first comprehensive biography of Martin as well as a critical examination of the unusual body of work she produced during a professional career that lasted half a century. As Princenthal’s compelling narrative often seems to suggest, it was art-making that gave Martin something to live for right up until the end of her life, long periods of which she famously lived in relative isolation. 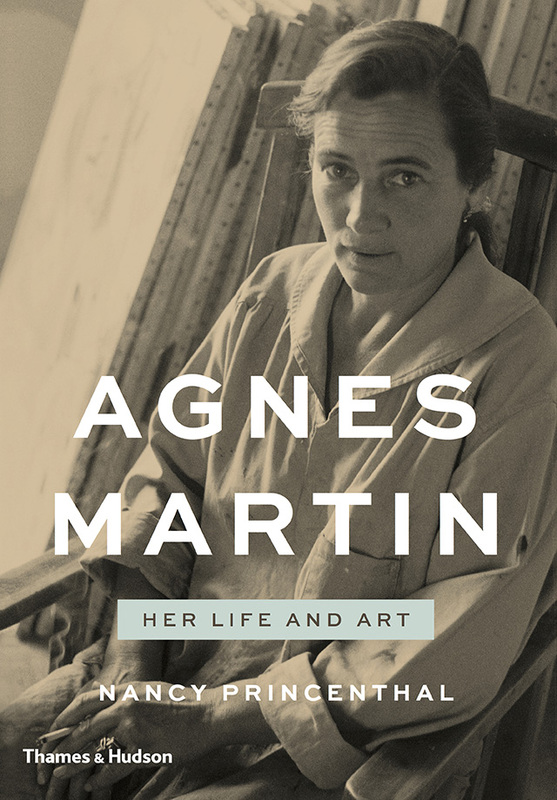 The publication of the biography coincides with the presentation of Agnes Martin, a career-spanning exhibition that recently opened at Tate Modern, in London. 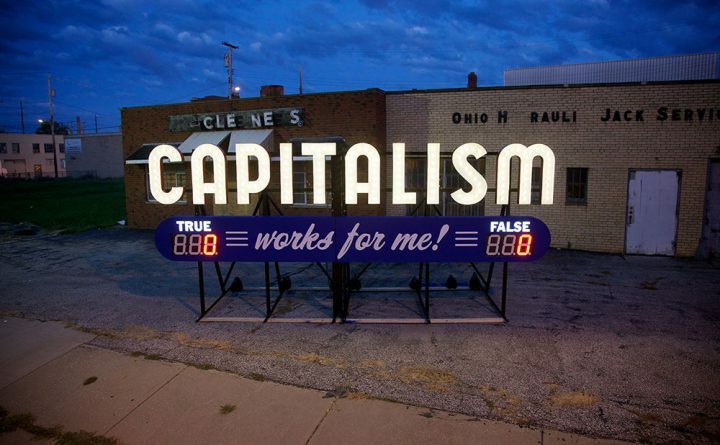 (It will remain on view through October 11 and then move on to other venues before opening at the Solomon R. Guggenheim Museum in New York in October 2016.) A well-illustrated catalogue, also titled Agnes Martin (published in the United States by Distributed Art Publishers), accompanies the London show. Martin’s story begins on the broad, flat plains of Saskatchewan, Canada, where, in the remote town of Macklin, she was born in 1912 to Malcolm and Margaret Martin, a Scottish-Presbyterian couple who owned and worked a wheat farm. Agnes was the third of three children, whose father would die from injuries sustained in the Second Boer War — or maybe not; in one of the many discrepancies in this tale, the details of his death have never been confirmed, and at least one report claims that he simply “skipped town” and headed to the US, never to be heard from again. After he died (or vanished), Margaret moved the family to her own father’s farm, then to Calgary and then again to Vancouver, in British Columbia, where they finally settled. Years later, Agnes would recall that her mother, who made a living renovating and selling old houses, “really didn’t like children.” According to a 1993 article in The New Yorker, when Martin was only six years old and needed to have her tonsils removed, her mother packed her off with money for the streetcar; she told her daughter to make her own way to the hospital. She describes the land there as “limitless, a vast convex disc,” but notes that, as in New Mexico, where the adult Martin would spend many years of her life, “it is the size of the sky that overwhelms.” It is not hard to imagine, Princenthal hints, that memories of the endless, flat plains and the big-sky light that washed over them inevitably made their way into Martin’s mature abstract works, although during her lifetime the artist repeatedly insisted that her paintings were not representations of the landscape. There is more uncertainty in Martin’s story as she grows up and begins acting on her own impulses. As a youth, in Vancouver, she enjoyed sailing, fishing and hiking, and was a competitive swimmer. 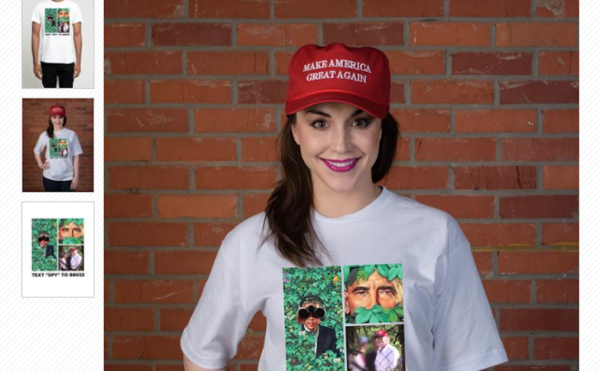 However, after graduating from high school, Martin moved to Bellingham, Washington, on the US side of the border, ostensibly to help take care of her pregnant sister (with whom her relationship was not good). Why did she really leave home, Princenthal asks, and why, after settling in Washington, did Martin return to high school, where she graduated again at the age of twenty-one? Why, too, in 1930 or 1931, did young Agnes take a job as a household cook in Los Angeles, which led to her serving as the driver for the 25-year-old screenwriter (and future movie director) John Huston? During Martin’s decade on the West Coast, she went to college and earned a teaching certificate, taught elementary school and worked as a lumbermen’s camp cook, preparing up to 25 pies a day. 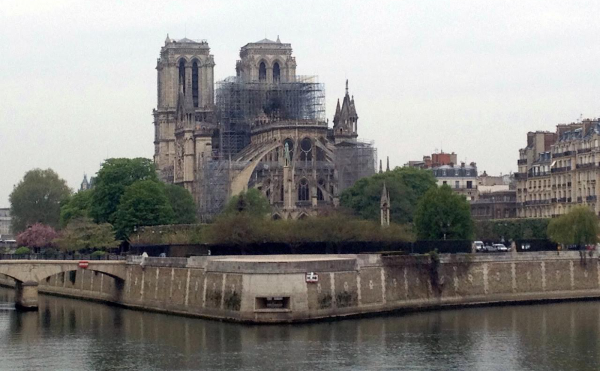 Was she aware of modernist ideas in the arts, which were making their way to places like Seattle? In that city, Princenthal points out, the Cornish School of Music had become a center for avant-garde music, theater, dance and art. The painter Mark Tobey, who had close ties to the school, returned from Asia to Seattle in 1935, and the Seattle Art Museum exhibited his works, in which the spirit of Eastern philosophy could clearly be felt. Princenthal writes, “The pull of Asian influences and of Zen” was “so much more pronounced on the West Coast in [those] years than in New York … ” They could also be detected in the work of Morris Graves, another Seattle-based painter, who met Tobey in the late 1930s. And then there was eastward-looking John Cage, who started teaching at the Cornish School in 1938; his future collaborator-partner, the dancer-choreographer Merce Cunningham, was there, too. In 1941, on the cusp of her thirties, Martin made what Princenthal calls a “momentous” decision that possessed “the shape of myth, at once dramatic and blunt.” Martin headed to New York, enrolled at Teachers College, which was affiliated with Columbia University, and there earned a bachelor’s degree in fine arts and fine arts education. At Columbia, the American pragmatist philosopher John Dewey’s ideas were in the air. Martin made art herself while she was at Teachers College but was “ruthless,” Princenthal writes, about “destroying artwork that she considered immature.” In time, out would go almost everything she had made prior to the late 1950s, but both Princenthal’s book and Tate Modern’s substantive catalog reproduce fine examples of early works that survived the artist’s purges. 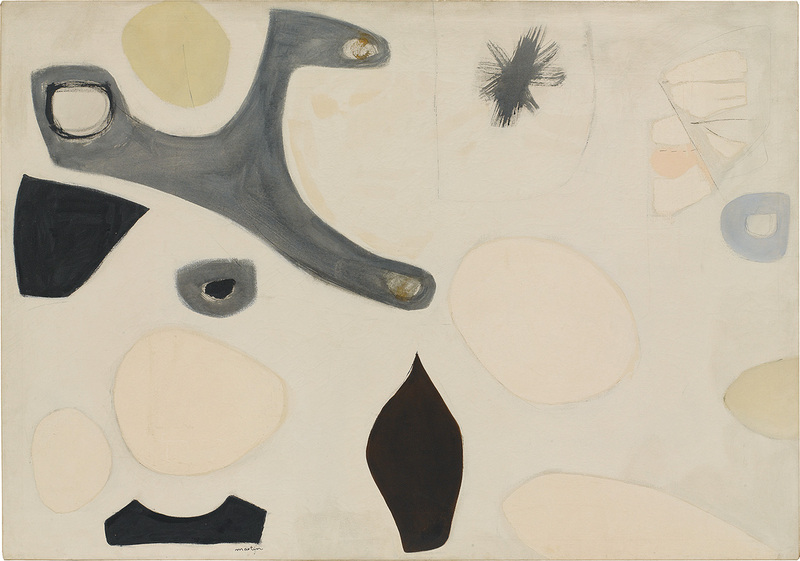 Among them, oil paintings such as “Untitled” (1953), “Mid-Winter” (1954) and two untitled canvases from 1955 feature compositions made up of biomorphic forms hovering against whitewashed, translucent grounds, with layers of other colors peeking through. In still another untitled canvas from 1955, fine, buoyant lines reminiscent of Joan Miró’s or Arshile Gorky’s animate both the forms depicted and the pictorial space. 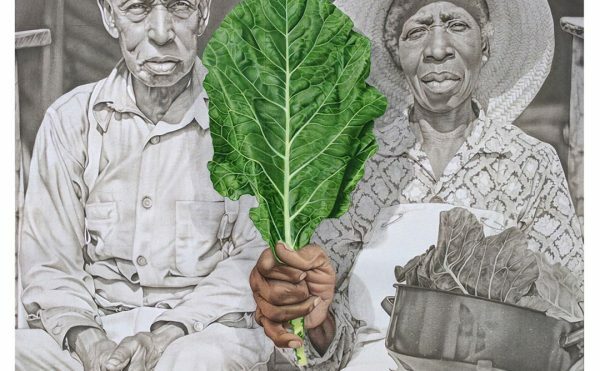 Princenthal tracks Martin’s zigzagging movements over the years as she leaves New York and makes road trips, and spends time in remote — far from the Manhattan art world, that is — New Mexico. 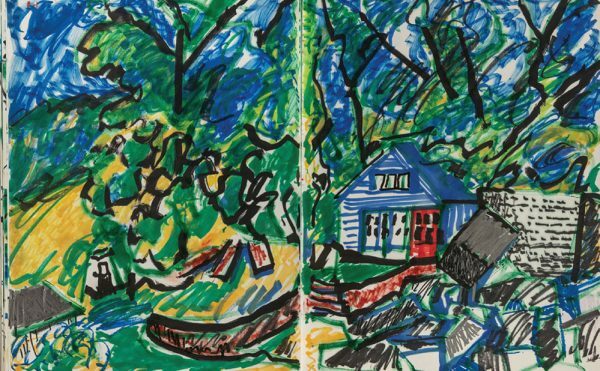 She becomes a U.S. citizen, returns to New York to earn a master’s degree in education (at the age of nearly forty), heads back to New Mexico and then returns to New York again in 1957 when the dealer Betty Parsons, who had shown the work of Jackson Pollock, Reinhardt and Barnett Newman at her high-profile gallery, offers her a solo show. 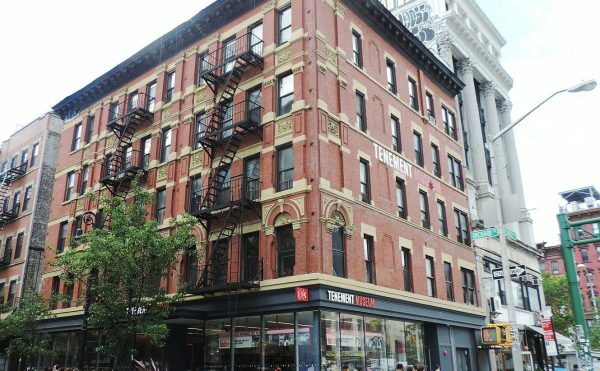 This time Martin settled into a loft on Coenties Slip in downtown Manhattan’s South Street Seaport district, where her neighbors and pals included such artists as Ellsworth kelly, Robert Indiana, James Rosenquist, Ann Wilson, Jack Youngerman, Jasper Johns and Robert Rauschenberg. 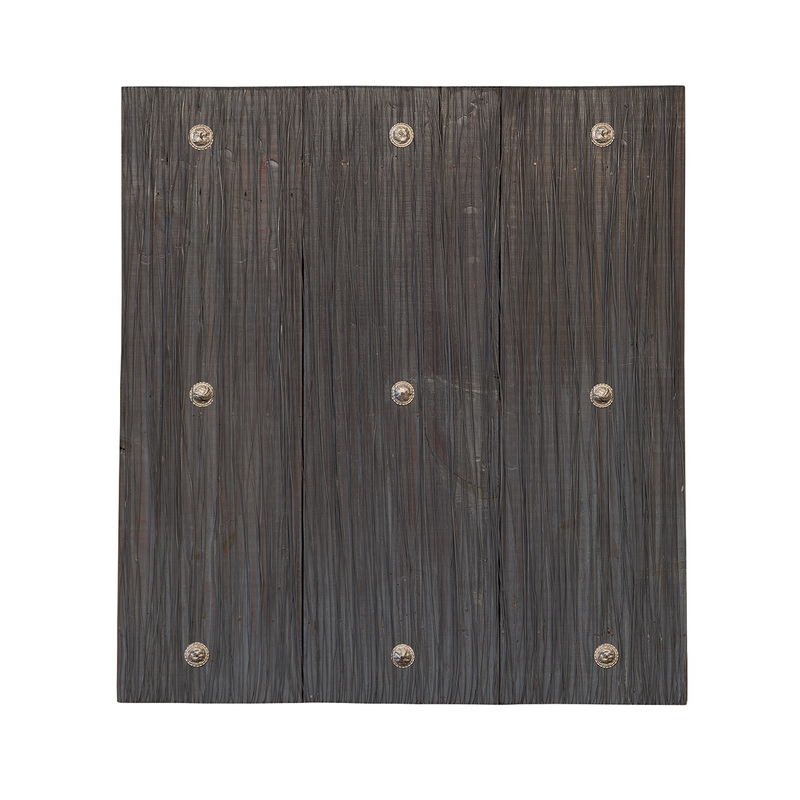 She created spare, abstract paintings, sometimes using pieces of wood or boat spikes. Her compositions featured rectangles and other basic geometric forms. Some of her works of this period, like “Dominoes” (oil paint on paper, mounted on canvas, 1960) or “Brown Composition” (oil paint on canvas, 1961), both of which are now on view at Tate Modern, bring to mind the spiritually charged, abstract, Tantric drawings made by anonymous artists in India, which in recent years have become well known on the contemporary-art scene. In 1964, Martin produced “The Tree” (oil and graphite on canvas, now in the collection of the Museum of Modern Art, New York), which she regarded as her first grid painting. At the time, she noted, “All my paintings are about joyful experiences.” Toward the end of her life she called “The Tree” “the first really abstract painting” in her oeuvre. 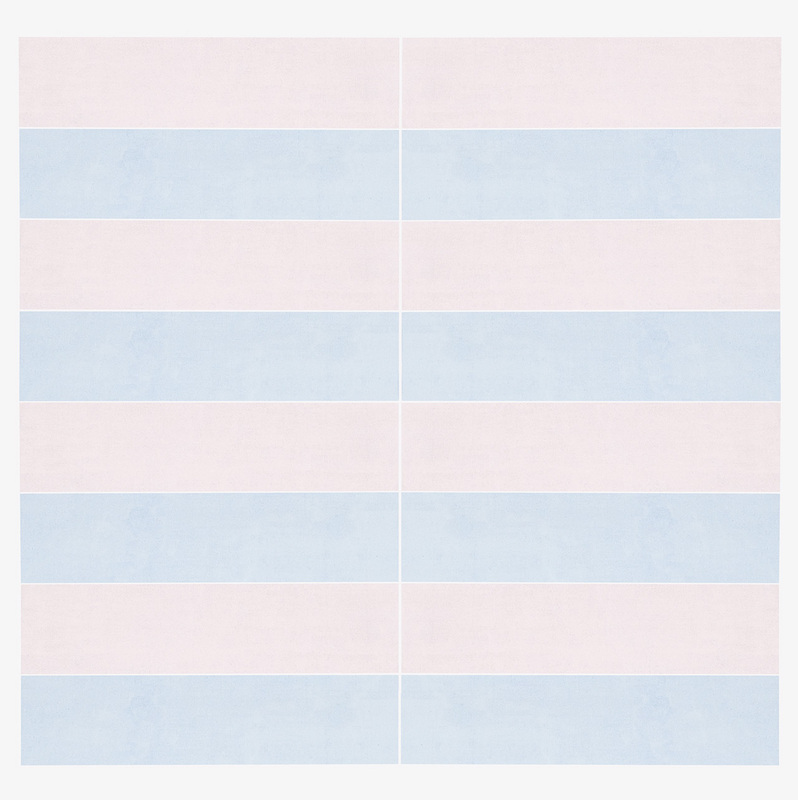 Its subtle structure of lighter and darker, vertical and horizontal stripes hums in a grayish-white, monochromatic palette and resembles a fabric’s patterned weave (another common comparison, which Martin rejected, for her grid-based works). 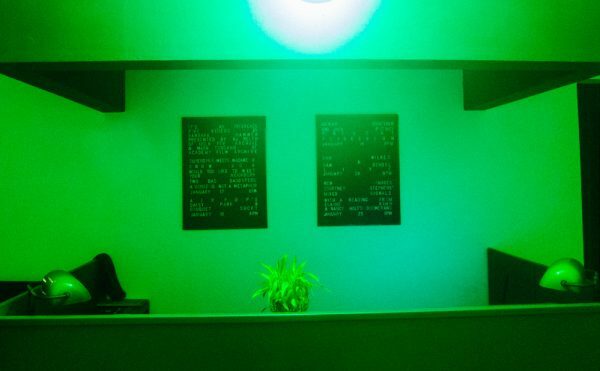 Who wouldn’t have hightailed it out of town after such a horrific experience, not to mention that, by the late 1960s, to her consternation, Martin’s work was becoming associated with that of the Minimalists — Sol Lewitt, Carl Andre and Donald Judd, for example — even though she considered herself an Abstract Expressionist. Princenthal states that 1967 was “the year Martin went rogue.” She traveled around the U.S. and Canada by auto (“with no clear sense of where she was heading and no evident intention of sustaining her career”). She stopped making art, having “left New York in a state of considerable turmoil.” Of that period, Martin once recalled, “[E]very day I suddenly felt I wanted to die.” Eventually she built herself a simple house and studio atop a mesa in New Mexico, where she lived in self-imposed isolation, without a radio, television or newspapers, and resumed painting. In her biography, Princenthal mostly restrains from psychoanalyzing Martin through her art, despite the temptation to look for biographical motivations or meanings for her emblematic, grid-based or striped paintings, with their very real, if insistently immaterial, light. Martin was an admirer of Mark Rothko’s hauntingly beautiful, floating rectangles of saturated color. Did she, in effect, beat him at his art-as-tool-for-transcendence game? 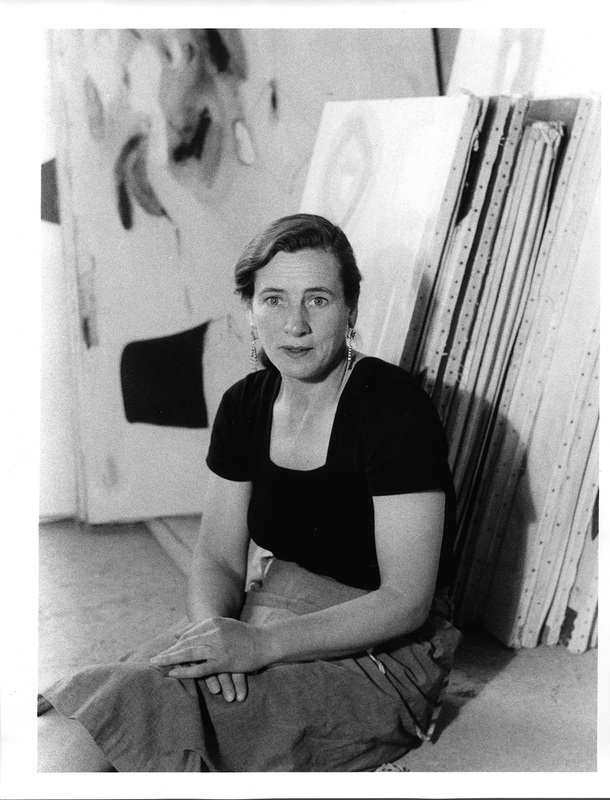 Agnes Martin: Her Life and Art, by Nancy Princenthal, is published by Thames & Hudson. 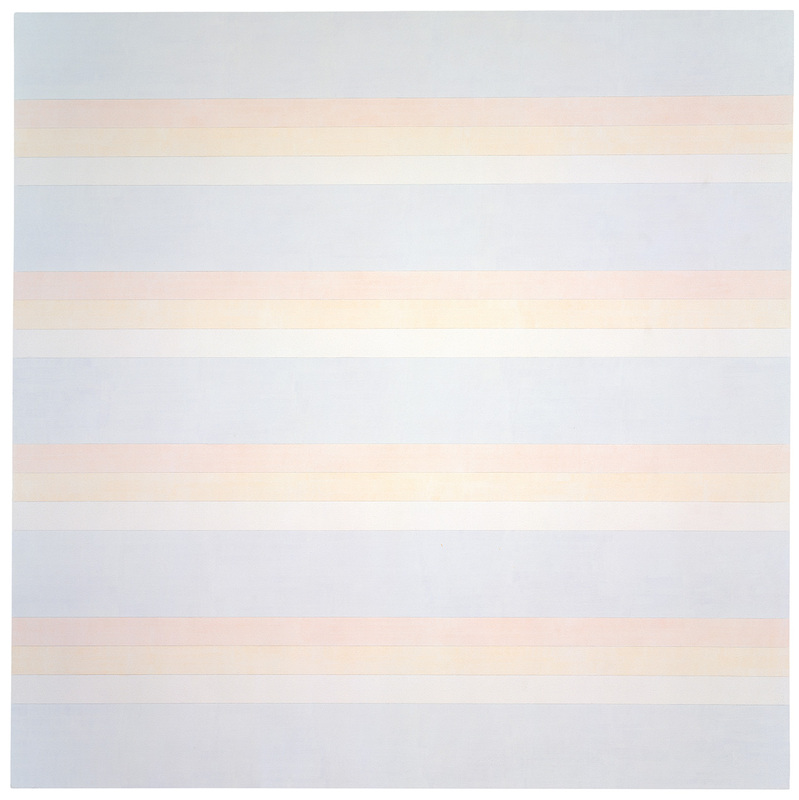 Agnes Martin is on view at Tate Modern, London, through October 11, 2015. 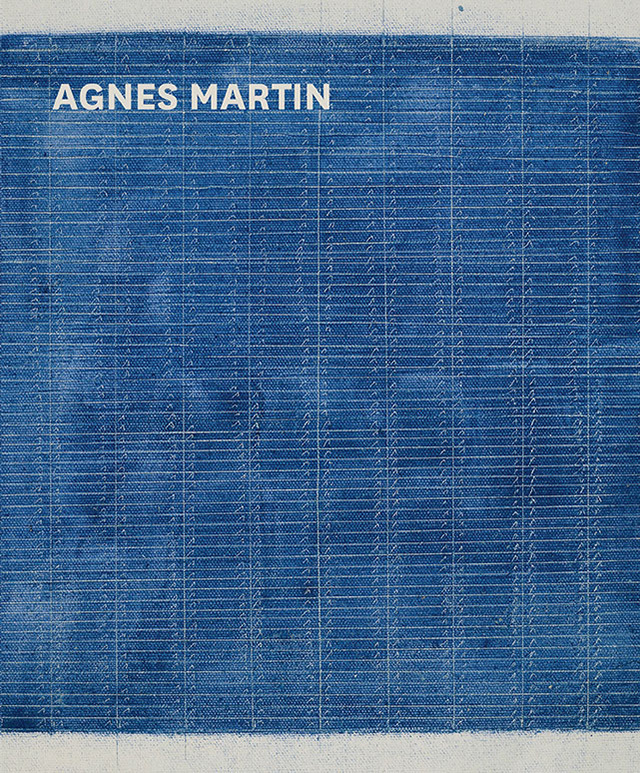 Its catalogue, Agnes Martin, is published in the U.S. by Distributed Art Publishers. 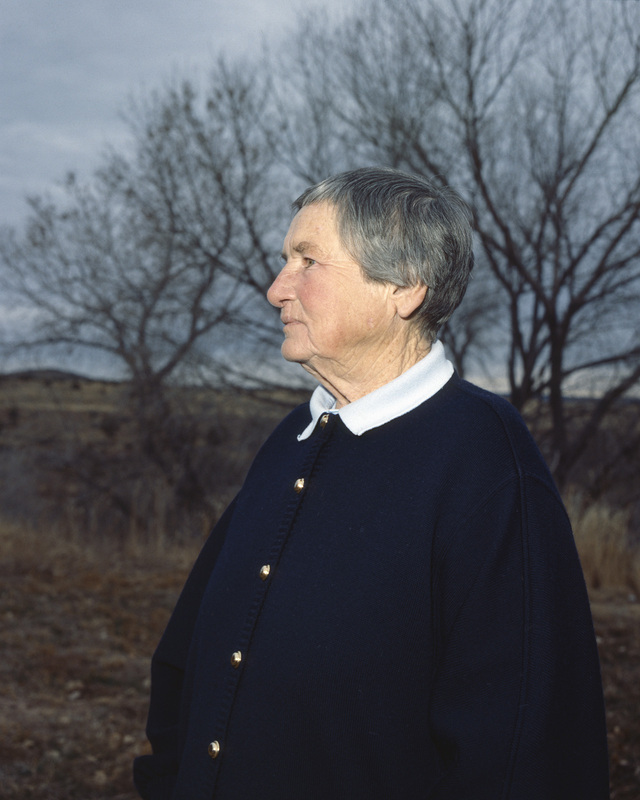 URL for official web page of the new book Agnes Martin: Her Life and Art, published by Thames & Hudson. URL for official website of Tate Modern, the museum in London, U.K., featuring its Agnes Martin exhibition.